Incredible executive style basement entry home on an East Abbotsford cul-de-sac!!! With five bedrooms & three full bathrooms there's plenty of room for the whole family to enjoy. Wide open floorplan, great room with vaulted ceilings, exposed beams & wall-to-wall solid hand-scraped hardwood, granite countertops galore, raised centre-island breakfast bar, gas range, stainless steel appliances, walk-in pantry, recessed lighting & designer light fixtures. Elegant master bedroom with high ceiling & french doors to a luxurious 5 peice ensuite. Heated tile floors in bathrooms, walk-in closets in master & 2nd bedroom, Quality finishing continues to the bsmt with 2 bedrooms plus a den, 9' ceilings, great recreation room and huge yard. One small pet may be permitted upton owner approval. 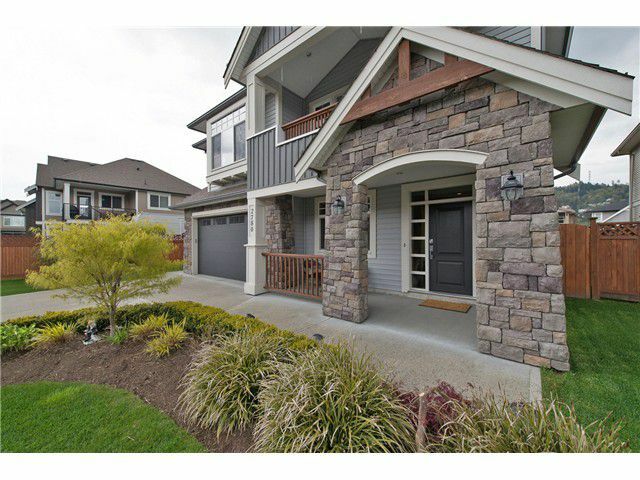 Don't miss out on this spectacular home in East Abbotsford, call Valley Realty at 604-755-4055 today! *NOTE* Home not available for showings until June 29th.